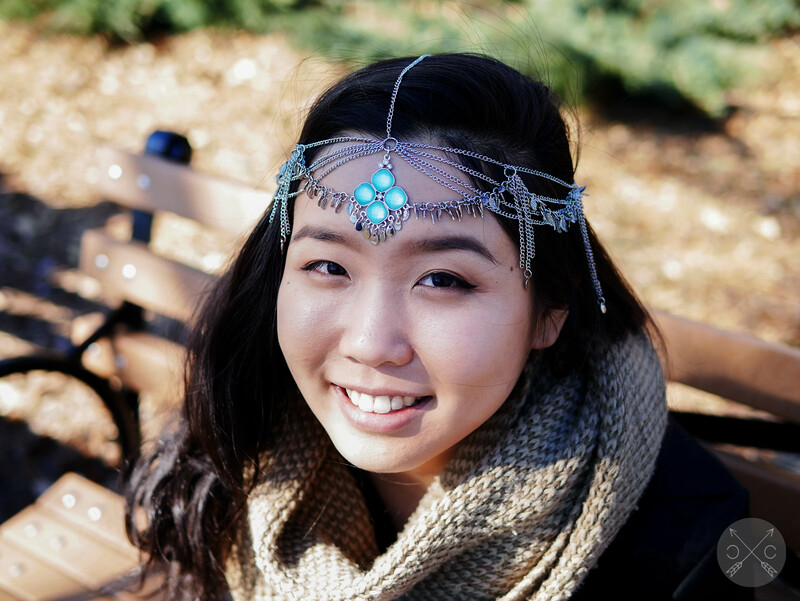 So… happy to share this easy tutorial to make your statement head piece in time for the music festival season! 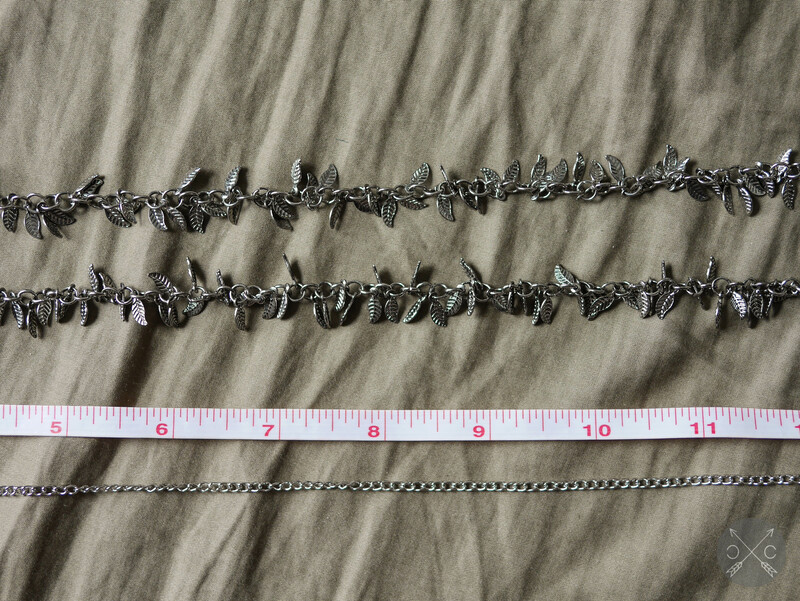 Chain: I find that the thinner chains look more elegant, but make sure that you do not go too thin since each chain link should still fit through a jump ring. 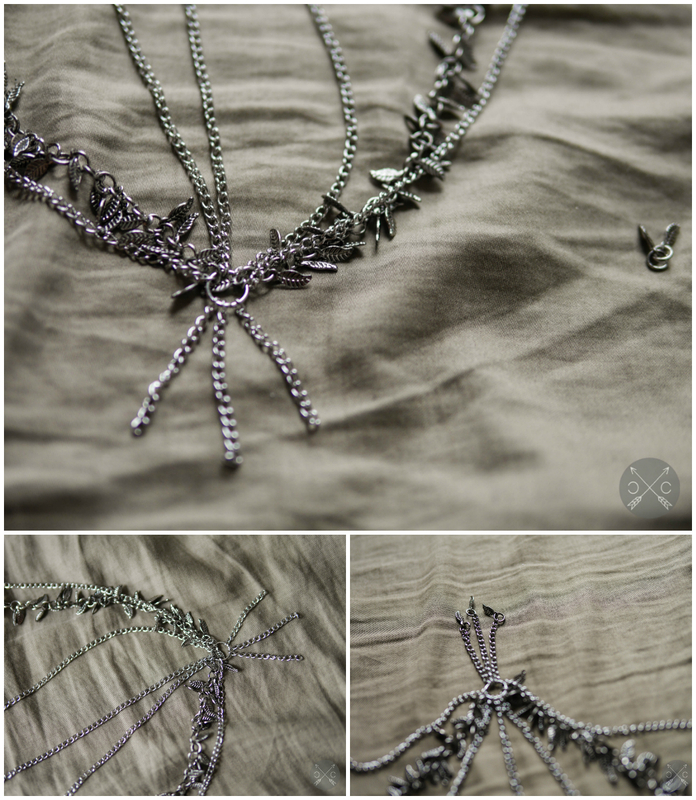 At the bare minimum, get 36 inches of chain to make a simple, one-stranded head chain with some room in case something goes wrong. 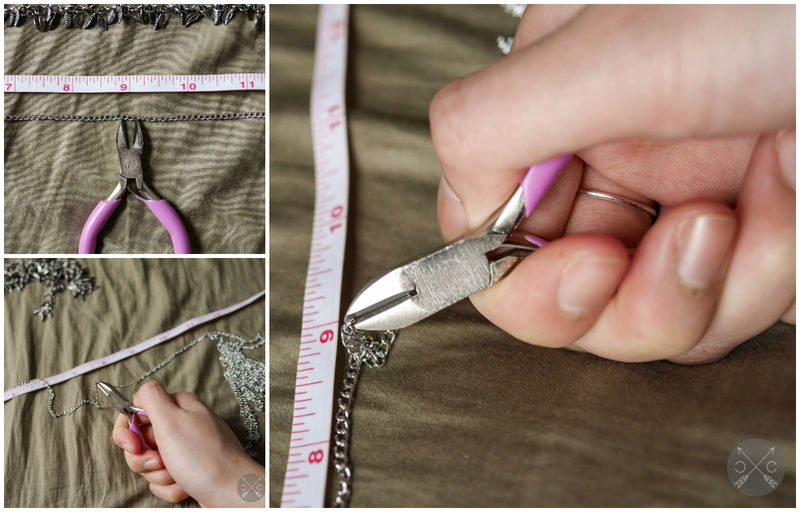 First, measure the length of the chain that will sit in the middle of your head. You can either directly measure this on your head with the tape measure or use the chain itself to measure and place it next to a ruler to get its actual length. 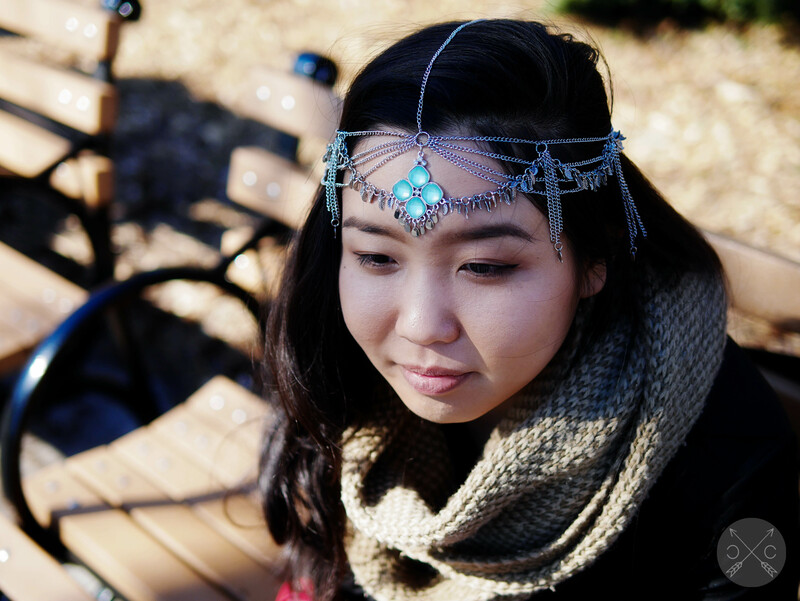 For both of my head chains, I used a safe length of 9 in. 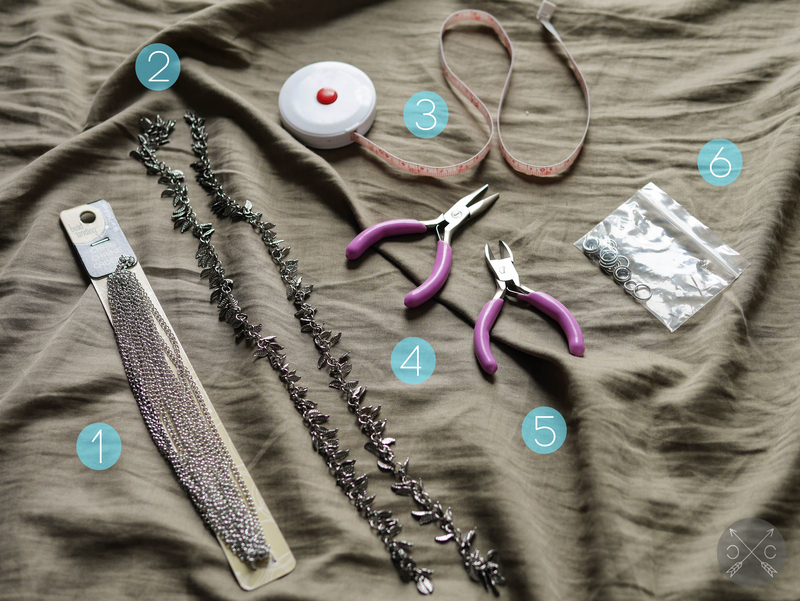 Cut the chain at the desired length with the jewelry cutter. Lay the chains in order of how they will sit on your head from outer chain to middle chain back to outer chain. This is important since this is how the chains will naturally fall into place on top of your head. 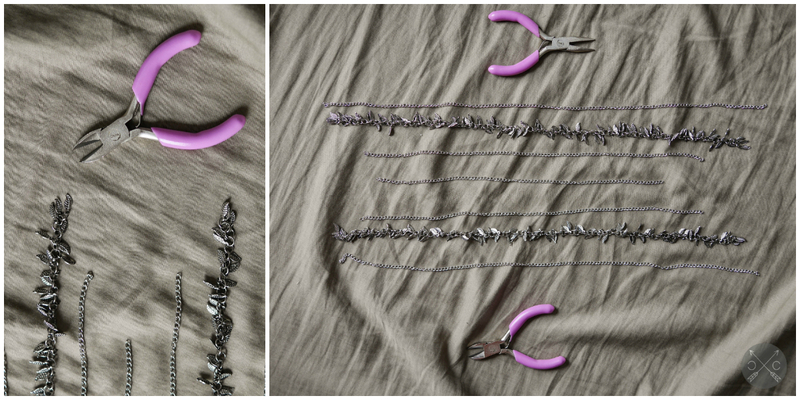 Open a jump ring and loop it through the end of each chain. Do the same on the opposite side with a separate jump ring. Here’s the fun part! 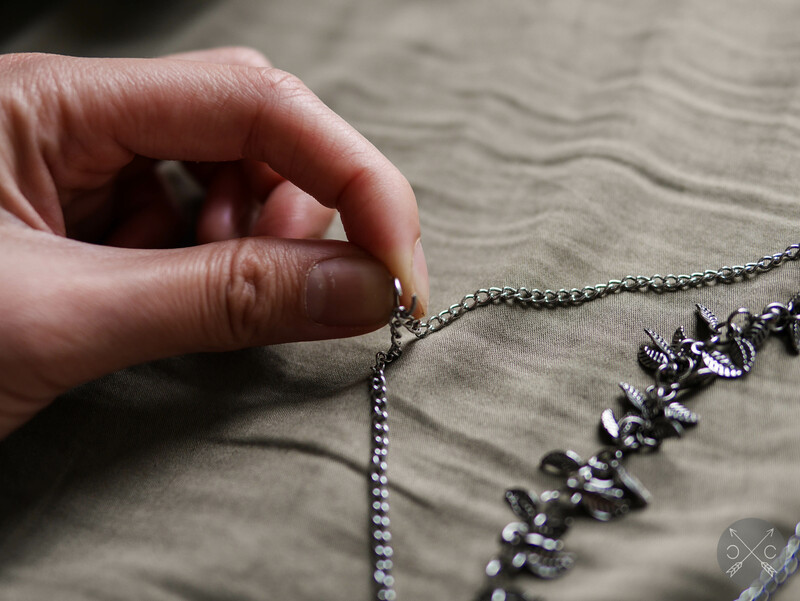 If you’re feeling extra creative, you can attach a charm or a tassel comprised of shorter chains to the front or both jump rings before closing it up. Just have fun with it! You can link the center of all the outer chains with another jump ring to create draped chains. The key to creating these drapes is continually linking the chains at the center between two outside links. Voila! 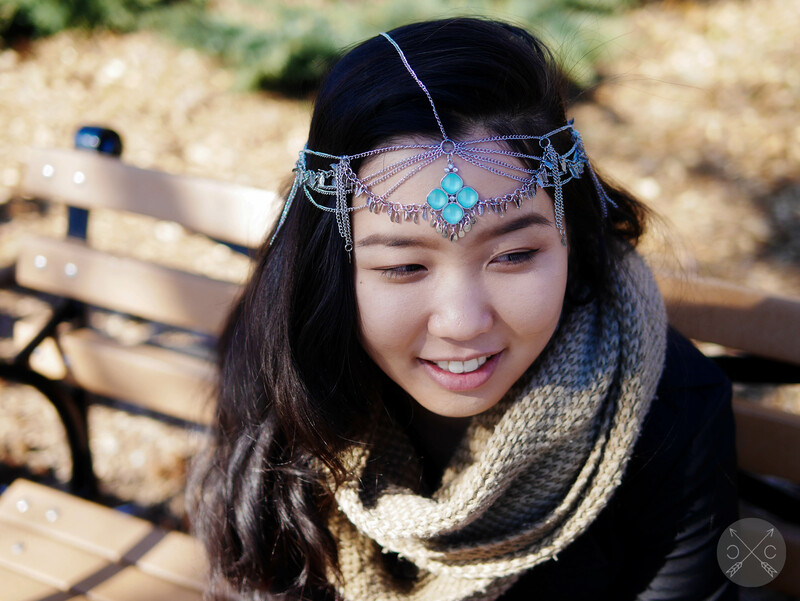 You have your finished product – a fine statement head piece to show off during your music festival shenanigans! 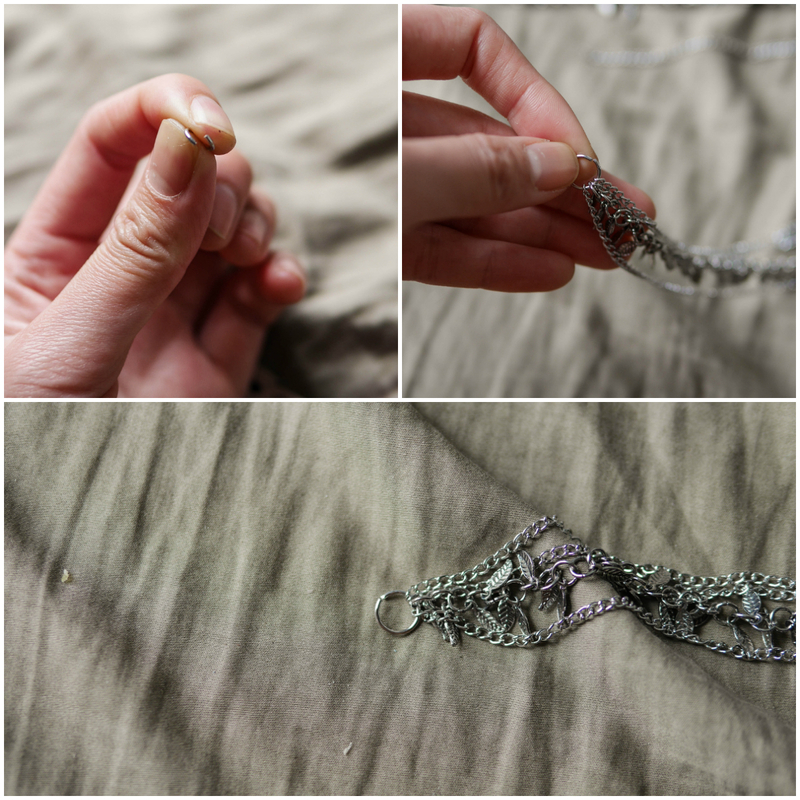 You can also use a charm as another linking point in the front of your head chain. 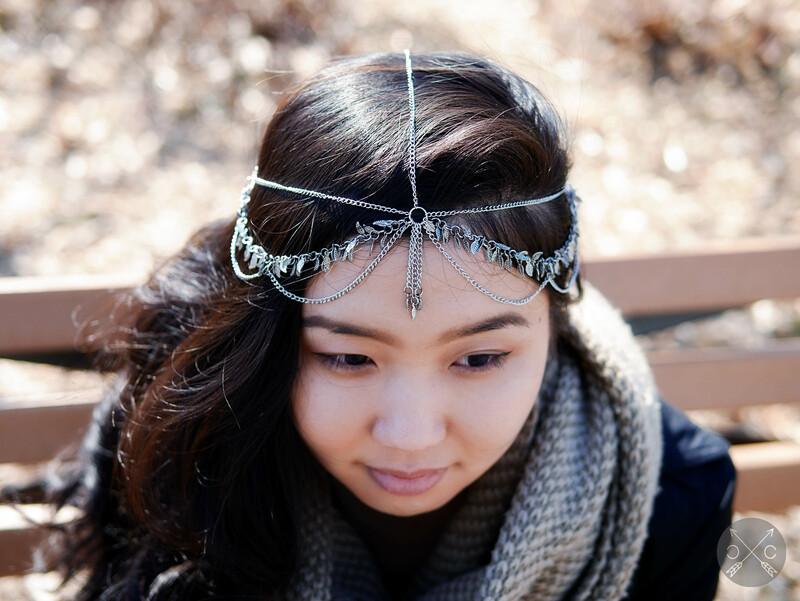 Adding a tassel at each jump ring is also a quick and easy way to make your head chain pretty! So creative! Can’t wait to see photos of you rocking this at Coachella! LOL, too camera-shy for that. but… if you go to Gov Ball this year… you may see it in person!